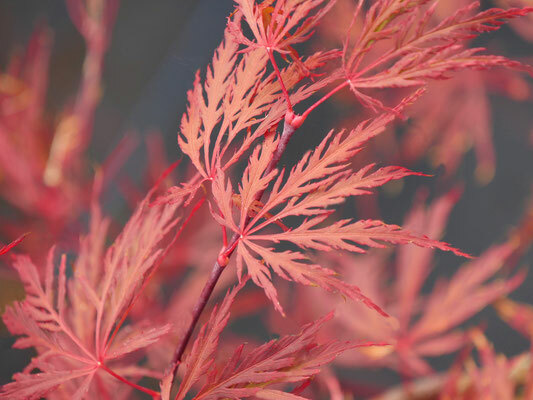 The outstanding feature of the Crimson Queen is it's persistent, good, deep red colour of the foliage. 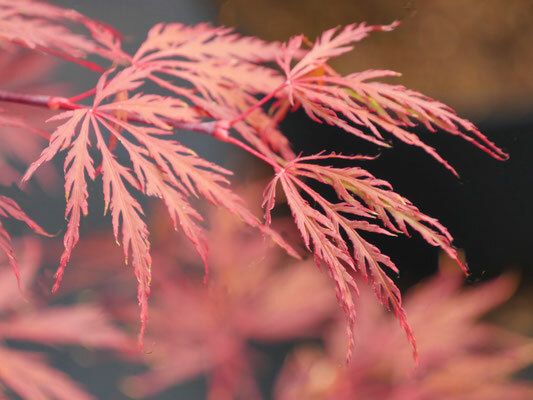 It carries the deep red colour throughout the entire growing season. Practically no sunburn in full sun, but under these conditions the deep red becomes orange-red. Full colour is a very full scarlet. The medium to large seven to nine lobed leaves are finely dissected. Each narrow lobe is deeply divided and notched.